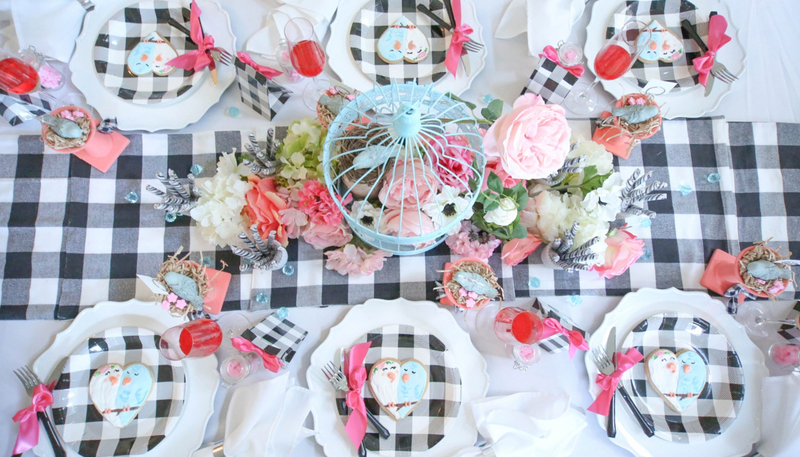 Feather your nest with a charming Love Bird themed bridal shower. 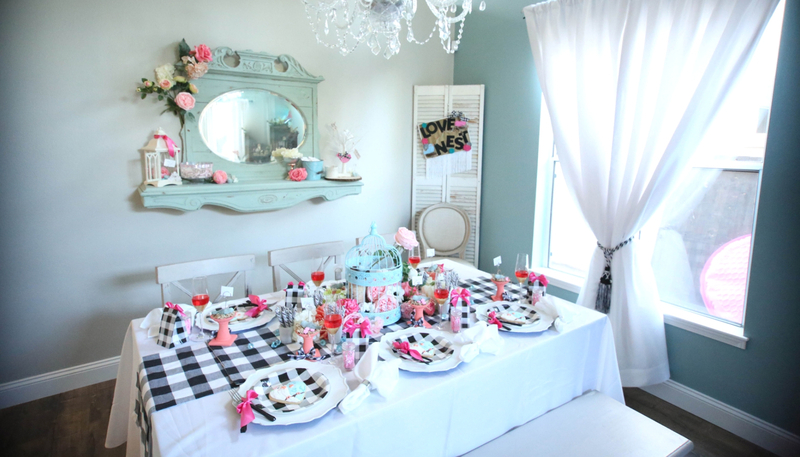 This unique shower theme features a trendy black and white buffalo check as the basis for the design, with bold shades of coral, pink and pale blue added in for a beautifully blended palette. 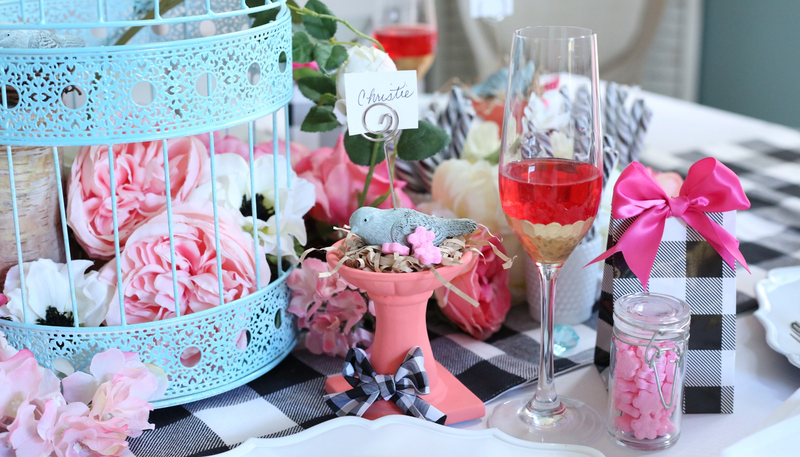 Adorable Bird Bath Place Card Holders are a quick and easy DIY project that you can complete in a short time. 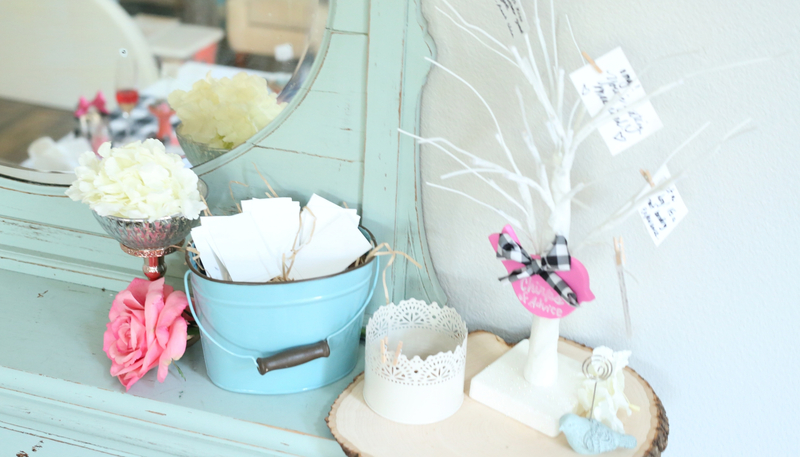 Chirps of Advice is a fun guest activity that is also a keepsake. 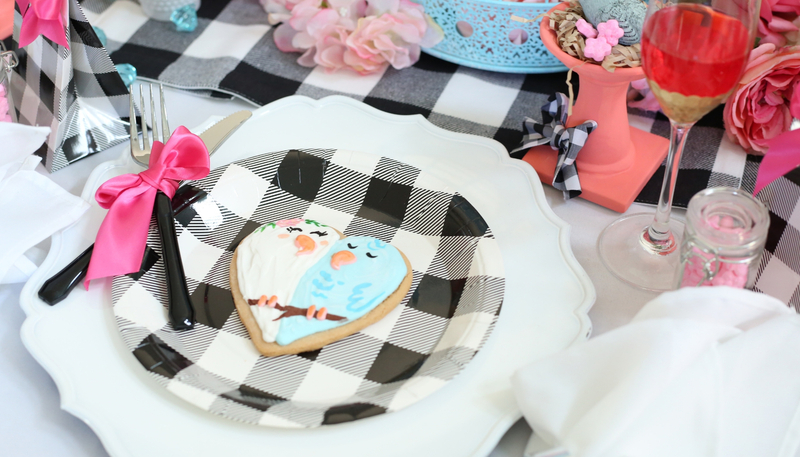 Love Bird Iced Cookies can be prepared ahead of time, and make for a very “tweet” party favor.